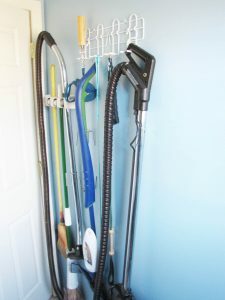 We’ve done a LOT of renovations to our home since we purchased it over 11 years ago. We’ve installed hardwood floors, done a bathroom makeover, added a screened porch and done a bunch of work to make sure water drains away from the house so our basement stays nice and dry. We’ve got a few things left on the list. 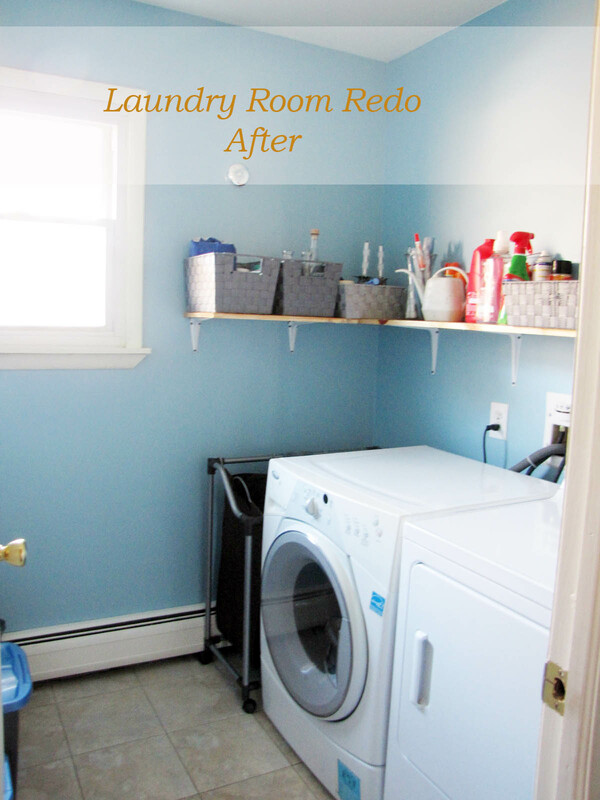 The most recent job we attacked was the laundry room. Here’s what prompted our laundry room redo. Except for the one time I cleaned out the dryer vents, I had not touched this room. It was dingy. The shelves were warped and it had become a catch-all. I couldn’t wait to freshen this room up. 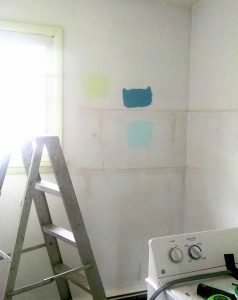 First I had to choose a color to paint the room. You can get an idea of how dingy the room was by looking at the walls after the shelves were removed. 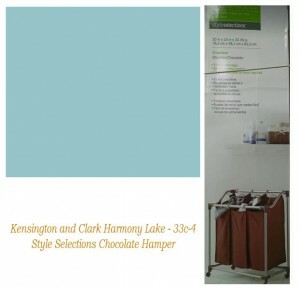 I went with Kensington and Clark Harmony Lake – 33c-4. I replaced the hamper, and corralled the clutter in baskets I got from my local Home Goods store. Items hanging on the wall were relocated behind the door. I also threw away the icky mini blinds that were on the window. I couldn’t be happier with how the room turned out. 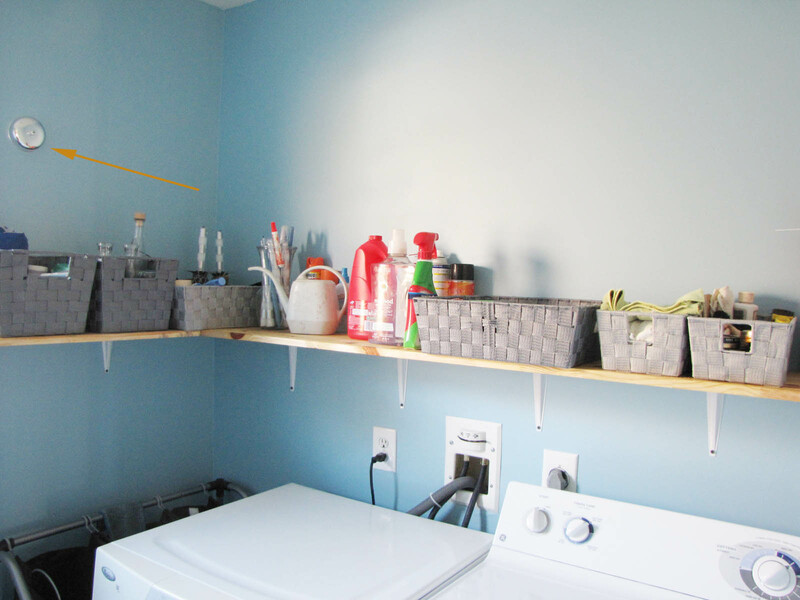 It looks so much more organized now that everything is in baskets. Hanging items are now behind the door. Much better! 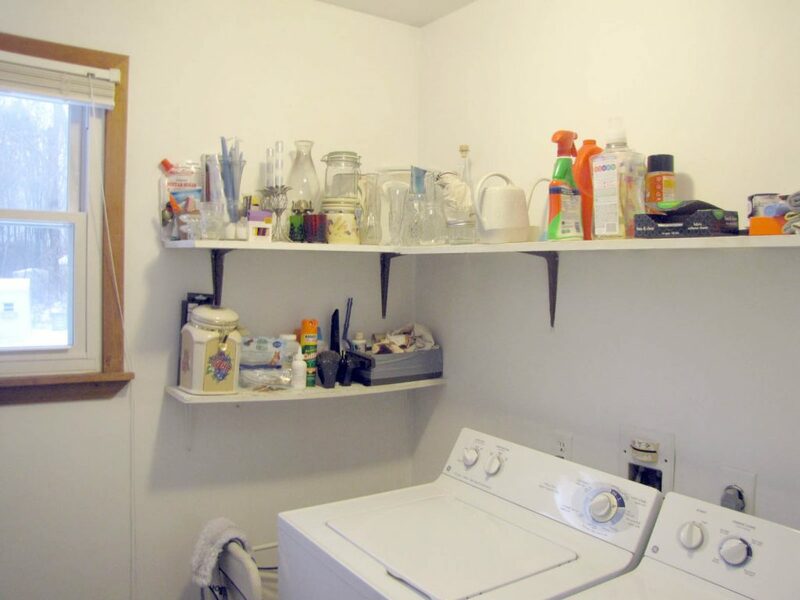 My favorite feature is the retractable clothes line. Now I can easily hang things in the laundry room whenever I want. I’ve already used it a couple of times. It works really well!!!! I couldn’t be happier. I am thrilled with the way it turned out. Extra bonus? The front loading washer seems to be getting our clothes even cleaner than the old one and it dispenses the detergent automatically. So cool. The Barefoot Kimtessa: The GE Cafe Dual Fuel Range Arrives! bluebellgray makes me smile . . .